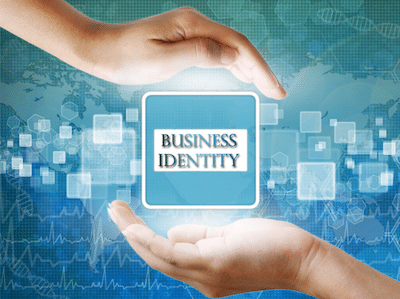 Corporate Identity Theft: Are you at risk? When it comes to identity theft, most consumers know the risks of mismanaging their personal information—but did you know that your business faces the same dangers with possibly even greater consequences? And although you’ve likely put security measures into place to safeguard your clients’ confidential information, it’s just as important to protect your organization’s information from theft. Read on to learn more. What exactly is corporate identity theft? Corporate identity theft is most often thought of as a breach of a businesses’ consumer data, but it can also be the theft of a company’s private and operational information, including credit, banking and other highly sensitive data. If a thief obtains your business’ information, they are able to impersonate your business and use the information to steal from the company. Running up credit bills, applying for business loans, purchasing equipment and using the information for their own personal gain are risks of corporate identity theft. What makes your company vulnerable? Corporate Identity Theft often occurs via cyber breaches, when a hacker is able to steal sensitive company information without the organization’s knowledge, in the same way data breaches affect consumers. It can also happen when company documents and records are stolen—either from within the business or when paperwork is mishandled or discarded improperly. Any company, big or small, local or national, can be vulnerable to theft, so it’s crucial to implement safeguards that will protect your business. Because businesses face a high level of threat for identity theft, it’s important to be mindful of how criminals operate and ways that they are able to steal your corporate identity. Online theft is one way that hackers can gain access to company information like log-in id’s and passwords for corporate bank accounts, company credit cards and other similar accounts. Often, company employees will be duped into logging into a phony site that is a match to the one they normally log into, and once they log in, the hacker steals that information and uses it to get account numbers, identification information and more. Phishing is another way that identity thieves will attempt to get your organization’s confidential information. Company staff will receive emails that appear to be from a trusted source but contain infected links that once clicked, will give hackers access to the company’s network. Phishing emails can also dupe employees into providing log-in id’s and other sensitive information because they are spoofed to match familiar websites that your organization uses on a regular basis. Protecting your business and your lifeline from identity theft is just as important as protecting your client’s personal and confidential information. To ensure that your company does not fall prey to criminals, be sure to stay vigilant with safety procedures, train your team on spotting phishing attempts and implement a shredding schedule. All Points Mobile Shredding offers onsite and offsite shredding for all your business needs and will provide you with a regular shredding schedule as well as personalized and professional service. We’re a local, family-owned and operated company that serves Martin, St. Lucie, Palm Beach and Broward Counties. Give us a call today at 772.283.4152 or fill out our online quote request form for more information.